Popvox is a Web-based service for quickly and easily creating outbound telephone campaigns. 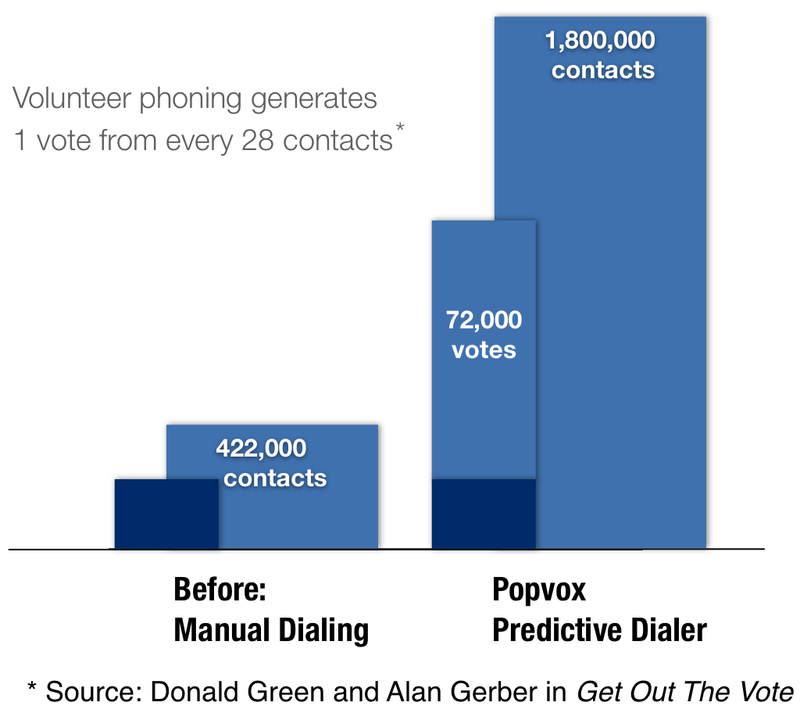 Popvox is enabling for distributed volunteer phone banks — while equally well suited for call centers that use dedicated facilities and paid agents. Customers can get started quickly with campaigns to contact large numbers of constituents. 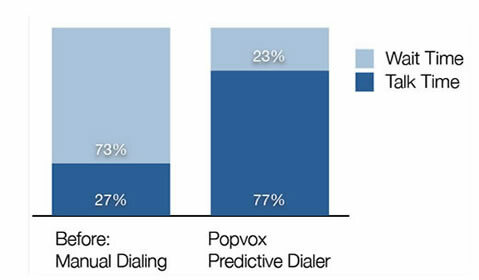 A predictive dialer is a sophisticated productivity tool for outbound calling campaigns. The system dials numbers automatically, and filters out busy signals and no-answer numbers, allowing a typical agent to contact 3-4 times more households per hour than is possible dialing manually. Agents listen to music on hold while waiting, allowing answered calls to be connected immediately. Simple way to buy more productivity at pennies per contact. We host and manage all telephone equipment at our secure data center facility. 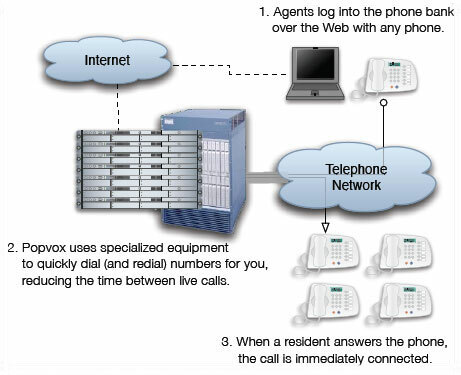 Why switch to Predictive Dialers?